WE ARE THRILLED TO HOST A WIDE VARIETY OF CREATIVE WORKSHOPS, COMMUNITY EVENTS, PANELS AND DISCUSSIONS, TASTINGS, LIVE MUSIC PERFORMANCES, AND MORE AT STEADFAST SUPPLY. Check out our event schedule below and be on the lookout for updates on our social media accounts and in our newsletter! Want to host a workshop or special event at Steadfast Supply? Want to host a PRIVATE DIY WORKSHOP FOR YOUR FAMILY, CO-WORKERS, FRIENDS, OR CHILDREN? Been captured by the punch needle projects filling up your feed? Need to know how to make one of your own? 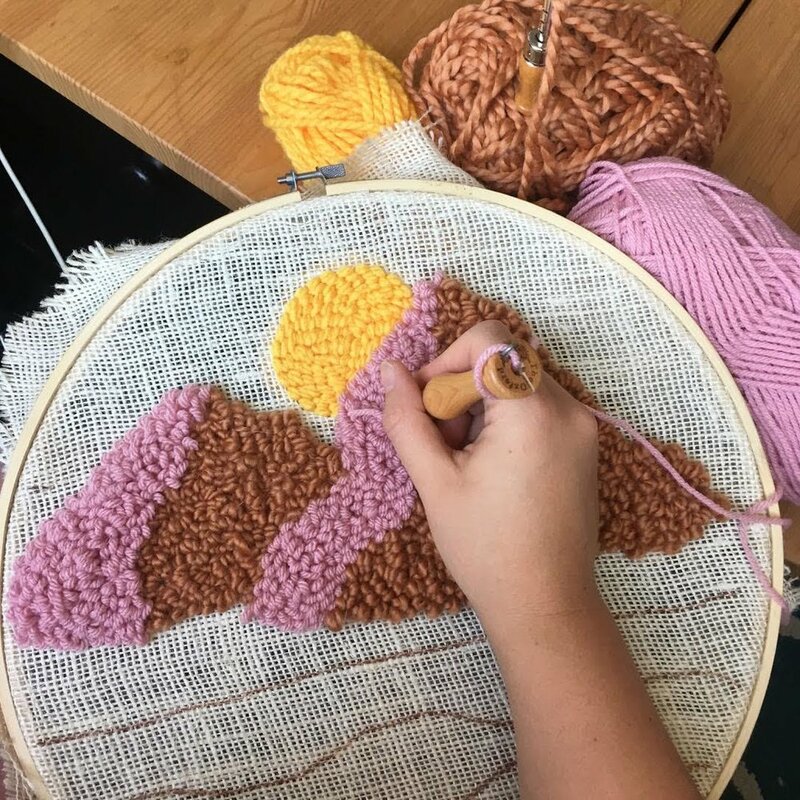 Join Elise from “The Comptoir” herself for this super fun punch needle workshop. WHAT YOU WILL LEARN: Learn the basics of the tool and technique as well as the ins and outs of selecting the best fabric and yarns for a beautiful piece every time! You will create your very own design under Elise’s expert guidance, and gain the skills to make beautiful pieces again and again! All supplies are included. ABOUT THE HOST: Even from a young age in school, it was obvious to Elise Huguette that one day she would create her job, her own business, out of her love for art. When she immigrated to the US, especially to DC, it was was a given. She felt a need to express herself as a maker, as a woman, and as an immigrant.